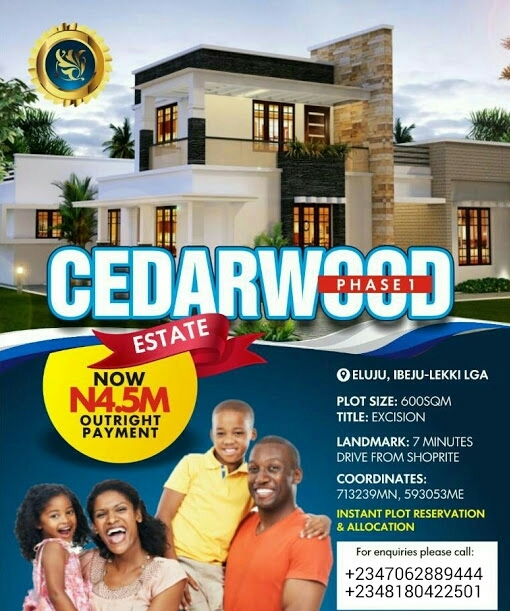 CedarWood phase 1 was concieved out of the urgent need to provide a suitable, conducive and affordable site for home seekers and investors alike. 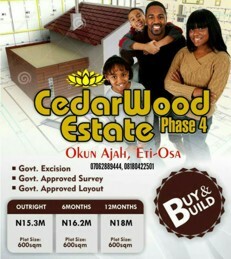 The estate is located within Eluju few minutes drive off the Lekki-Epe Expressway 5-10 mins before Eleko junction. The Estate neighborhood is a fast developing axis close to Amen Estate & Pan African University amongst others.